Practice your Spanish with native materials, even when you don’t have access to a fluent Spanish speaker. Train your ear to recognize oral Spanish, from a variety of a speakers and accents. Expand your ability to process and understand larger chunks of Spanish than the short sentences and phrases you have worked with as a beginner. Download audio so that you can practice your Spanish while walking the dog, going to the gym, commuting to work, etc. You will get the most benefit from working with podcasts if you already have a solid understanding of basic grammar and know a decent amount of vocabulary (at least 1000 words). Until then you will likely find it difficult to understand enough of the material benefit from podcasts. A good rule of thumb is that you should be able to understand approximately 75% of everything you hear, so that any new material you need to learn makes up no more than 25%. Before diving into podcasts, you should already be able quickly recognize the various verb forms (including present, preterite, imperfect and command forms), and have a decent grasp of object pronouns, reflexive verbs, and other basic structures. If you are still rusty on any of these topics, you will likely progress faster by focusing on dedicated instructional materials like our full conversational Spanish course, and then move on to podcasts only after you have mastered these essentials. Step 1 – Listen to full dialogue all the way through. (Stick to short dialogues, no more than 2-3 minutes). Step 2 – Attempt to write out what you heard in Spanish, pausing and rewinding as needed. Step 3 – Read the Spanish transcript and correct what you previously wrote down. On a separate document or sheet of paper, write down any words you don’t already know, and use a Spanish dictionary to look them up. (Its a good idead to add new vocabulary to your flashcards, Anki deck, etc.) Make sure you understand the passage fully before proceeding further. Step 4 – Re-listen to the full dialogue. If you follow each of these steps, you should find that you are easily able to understand the passage the second time around. 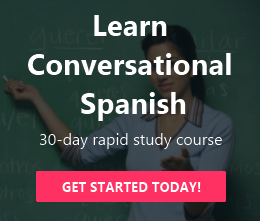 The beauty of this approach is that you will dramatically improve your Spanish listening skills while simultaneously increasing your vocabulary and grammar. Audria – Almost any list of Spanish podcasts should start with Audria’s huge collection of hundreds of spanish language audio files. The site contains a whopping 800 lessons in audio and video format and each podcast includes a full Spanish transcription, plus series of exercises that you can use to test your comprehension of the podcast material. The Audria website is little bit clunky, making it difficult to navigate at times, but the sheer volume of free material available make this one hard to overlook. University of Texas Spanish Proficiency Exercises – This is probably my favorite site for serious students looking for high quality native Spanish materials. Here, the podcasts are organized into beginner, intermediate, advanced and “superior ” levels and each podcast covers a different topic, such as asking for directions, or talking about family. In addition to the audio files, each podcast includes a built-in study guide that covers related vocabulary and grammar, and a section on related phrases. Each lesson is also available in video format in addition to downloadable podcast. The lessons utilize a variety of different native Spanish speakers, which will accelerate you ability to understand different types of Spanish accents. This one should be near the top of your list for free Spanish podcasts. Spanish Podcast – Although the website itself is extremely dated, this site provides a massive collection of over 150 completely free audio podcasts. The podcasts are lengthy (20-30 minutes), consisting of a short dialogue, followed by additional material that explores the dialogue in greater depth. The additional lesson material tends to delve into various subtleties of the Spanish language and provides an excellent resource for advanced learners who are looking to build a deeper understanding of the language. Each podcast includes the full Spanish transcript for free, making these highly usable to use for active study. Be warned however that all of additional lesson material is presented entirely in Spanish with no English whatsoever. Not recommended for beginners, but provides a absolute goldmine of audio content for advanced students or highly motivated intermediate learners. Notes in Spanish – Notes in Spanish offers approximately 30 free podcasts as a teaser to its commercial membership. The podcasts are grouped into beginner, intermediate and advanced levels. The beginner podcasts offer a mix of English and Spanish presented in lesson-style format, and cover common beginner topics like ser v. estar, por v. para, etc. The intermediate and advanced podcasts offer 100% Spanish conversations lasting 10 minutes or more. Although the audio is available for free, you have to pay to get the worksheets containing the transcripts and additional study materials. The longer format and the lack of transcripts make these less than ideal to use for active study, but are worth checking out if you like the longer form podcasts and are willing to upgrade to a paid offering to get the transcripts. 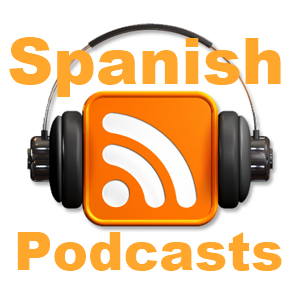 Podcasts in Spanish – Provides over 100 audio dialogues roughly two minutes in length. The site provides conversations among native Spanish speakers conversing at fairly realistic speed and pronunciation. Similar to Notes in Spanish, the audio is provided for free, but only paid members have access to the transcripts and lesson notes. I like this site because it offers a large number of short podcasts, which are the ideal length to use for active study. Spanish Obsessed – Spanish Obsessed offers around 50 Spanish podcasts divided into beginner, intermediate and advanced sections. The podcasts follow Rob and Liz conversing about a variety of topics in Spanish. The conversations tend to be fun and light-hearted and easy to follow. While some of the sites on this list require you to pay in order to receive the transcripts, Spanish Obsessed provides transcripts for free (with signup). Despite the longer podcast length, the ability to access the transcripts for free makes this another good option. Language Treks – Language Treks provides 36 beginner-level podcasts focused on basic vocabulary. I don’t really recommended these for any other than an absolute beginner, but if you are brand new to Spanish and looking to get started with podcasts right away, this would be a decent option. Got any more? What are your favorite resources for free podcasts? material have transcripts and quizzes and for free! Thank you for compiling the resources. I’d like to recommend the podcast by Instituto Cervantes, it also provides transcripts, guidelines for teachers and activities for studnets.